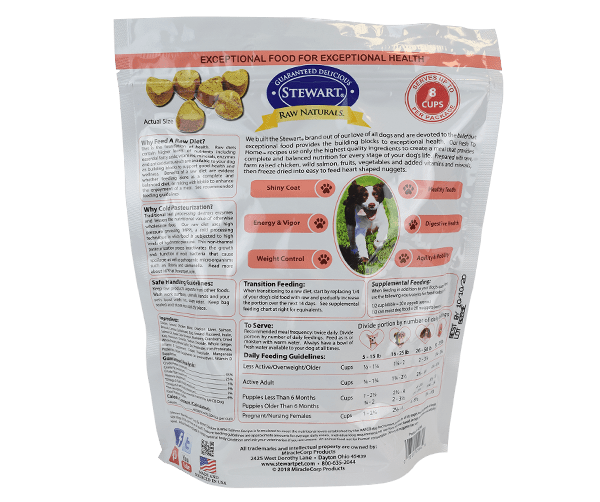 We gently process our thoughtfully sourced ingredients in the U.S. You can rest easy knowing you’re serving your dog safe, all-natural dog food. Read our list of ingredients and you’ll see no gluten, grain, soy or other fillers. This recipe is perfect for maintaining your dog’s healthy weight. 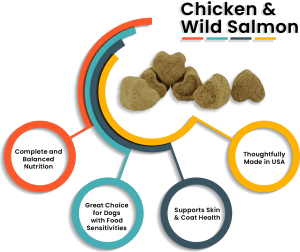 Our recipe of chicken and salmon for dogs will double your dog’s delight with a blend of two delicious tastes. Chicken and salmon are the top ingredients in this all-natural, grain-free dog food. 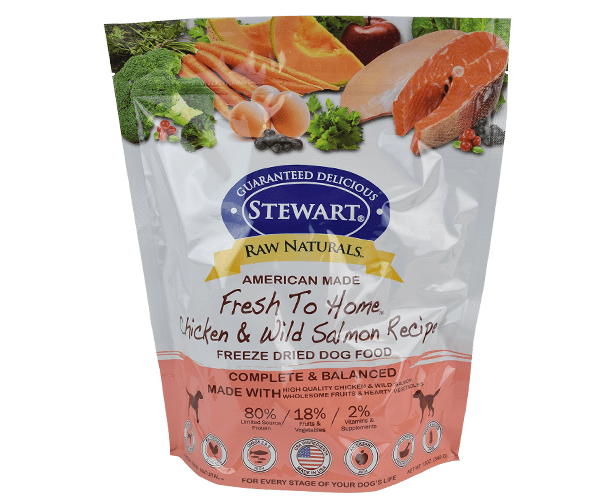 Packed with antioxidants and Omega 3 and 6 essential fatty acids from Salmon, this Raw Naturals food supports your dog’s health and coat. Antibiotic-free chicken is a lean, easy-to-digest protein.